Roseman, Olive J. 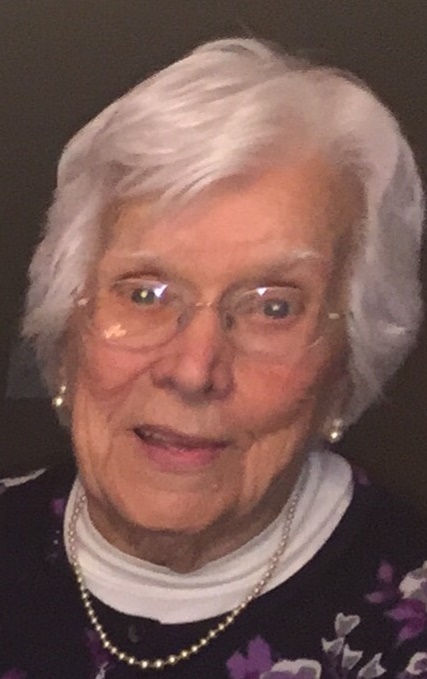 “Jenn”, 95, Johnstown, passed away April 25, 2018 at Lehigh Valley Health Network Muhlenburg. Born November 23, 1922 in Johnstown, daughter of the late Matthew and Louise (Pavsic) Nozsak. Preceded in death by parents, husband, Glen S. Roseman; brothers, Louis, Matthew and PVI John Nozsak; two brothers in infancy; sister, Pauline Kopriva; and brother in law, John Kopriva. Survived by loving sons, David married to Vivian (Lucas) Roseman, Lewisberry, Pa; Daniel married to Susan (Krope) Roseman, Nazareth, Pa; grandchildren, Dianna, Matthew, Jamie married to Eric Geleta, Jessica married to Jaime Hetherington, David married to Tracy, and Benjamin; great grandchildren, Madison, Anna, Gareth, Layton, Andrew, Lucas, Luke, Gavin and Bella Rose. Jenn worked in the billing department of Penelec. She was a member of S.N.P.J. 289, Slovenian Independent Fraternal Lodge Johnstown, Conemaugh Township Historical Society, and life member of St. Anne Catholic Church, Moxham. Family will receive friends from 10 a.m. until time of Funeral mass celebrated at 11:00 a.m. Monday, April 30, at St. Anne Catholic Church, Moxham, Fr. Bernard Karmanocky, OFM, Committal Grandview Cemetery. Arrangements entrusted to MOSKAL & KENNEDY COLONIAL FUNERAL HOME, Johnstown. Memorial contributions may be directed to Windber Hospice in her memory. www.moskalandkennedyfuneralhome.com.